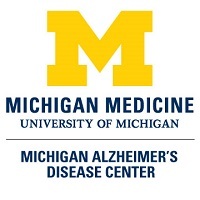 Our Center promotes clinical research on memory and aging that involves direct use of research volunteers, biomarkers, and other clinical data collected through the University of Michigan Memory and Aging Project. We manage a well-characterized data set to facilitate recruitment for Center-supported projects and publications. For more information, contact Arijit Bhaumik at 734-936-8281 or arijit@med.umich.edu. Investigators wishing to utilize the research volunteer database must complete the Clinical Resource Application (PDF). For preliminary data requests, please complete and submit the Data Request Form. The Michigan Brain Bank is designed to support investigations of dementing disorders. The Michigan Brain Bank provides researchers who study Alzheimer’s disease and related disorders with access to well-characterized human brain tissue. To optimize research, the Michigan Brain Bank assists in the collection and storage of brain tissue from individuals who have been followed in research studies at the University of Michigan and other Centers. We are fortunate to have had many generous patients and families participate in this brain donation program. The most useful tissue for research comes from individuals with extensive clinical information, typically from those who have participated in clinical research projects. Tissues stored in the Michigan Brain Bank are extensively characterized by experienced pathologists and available to scientists on request. Michigan Brain Bank tissues have been used by numerous scientists here and at other Centers in the United States. For investigators wishing to utilize tissues stored in the Michigan Brain Bank, please visit the Michigan Brain Bank website to download and submit tissue resource applications. Investigators may also download the Tissue Resource Application and submit it via mail. For further information, please contact Matthew Perkins at UMHSbrainbank@med.umich.edu or 734-647-7648. The Michigan Alzheimer’s Disease Research Center was pleased to release the “Dementia for Scientists” online curriculum in September 2018. The curriculum is available to view on YouTube here. The goal of this curriculum is to provide a broad and current introduction to important aspects of dementias and dementia-related research. The target audience is junior investigators. Why did we create this curriculum? Dementia research is highly diverse in content, ranging from basic biophysical research to social science. While investigators entering the field from diverse research backgrounds are well-trained in their own discipline, they may lack broader knowledge of the many aspects of dementia and dementia research that are important in understanding critical issues in the field. This curriculum aims to provide a relatively sophisticated introduction to critical aspects of dementias across the broad sweep of the field. The ultimate goal is to enhance the ability of junior investigators to read and understand relevant literature outside their own disciplines. The curriculum consists of 7 modules, each of which addresses an important area in contemporary dementia research. Each module includes several presentations. The presentations are relatively concise, PowerPoint lectures that can be viewed when convenient. We encourage users to view all modules, though many may wish to focus on topics outside their areas of expertise. Modules 1, 2, 5, & 6 might be said to constitute core elements that everyone should know. We hope you find the curriculum valuable. This is our initial effort and we welcome all comments, criticisms, and suggestions. Please send all feedback to Erin Fox at eefox@med.umich.edu. Several Center faculty were involved in the creation of this University of Michigan School of Social Work certificate program. This self-paced certificate is designed for healthcare professionals who deliver or plan to deliver person- and family-centered care to people living with memory loss or dementia, including: social workers; nurses; primary care physicians; physical therapists; occupational therapists; health educators; and administrators. Participants will gain clinical knowledge and skills in culturally-competent assessment, care planning, and state-of-the-art clinical intervention. An online curriculum about contemporary dementia research to introduce mentees to the basic features of the dementias. An individually tailored mentoring committee of experienced investigators to assist mentees with preparation of competitive grant applications. Participation in the career development workshop jointly sponsored by the Michigan Alzheimer's Disease Research Center rand the University of Michigan Pepper Center. This workshop takes place in the spring and includes a mock study section and other career development activities. Mentees receive preferred (not guaranteed) access to Michigan Alzheimer's Disease Research Center resources and Pilot Project programs. Career commitment to dementia-related research. This covers the whole spectrum of research from social science work to basic biology. Post-doctoral fellow or junior faculty status. Realistic plans to submit a grant application within the next 2 years. As we seek to understand and cure Alzheimer’s disease and related dementias, we consider it among our highest priorities to support innovative, high impact research. Our Center’s Pilot Project Program provides “kick-starter” funds to investigators so that they can begin testing new ideas about the causes and treatment of dementias. We are committed to funding $35,000 pilot projects per year, open to any investigators at the University of Michigan, Michigan State University, Wayne State University, and the Ann Arbor VA.
More information on the previous pilot projects funded by our Center is available under the "More" tab above. The Michigan Alzheimer’s Disease Center is committed to promoting the advancement of dementia research skills in junior faculty through the provision of training resources. 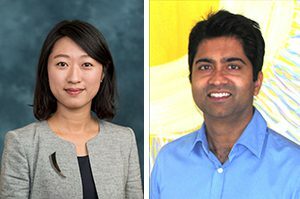 Established with the generous support of the Chawla family, the Isadore & Margaret Mezey award will pay for travel expenses for three junior investigators associated with their participation in national or international conferences focusing on the latest discoveries in neurodegenerative research and clinical practices. Awardees have a keen interest in advancing their careers in the dementia field and use the award for participation in annual meetings associated with major brain-related associations or societies. Call for applications to the Mezey Travel Awards takes place twice per year. Please remember to acknowledge partial support from NIH/NIA grant 5P30AG053760 in your publications, presentations, websites, posters, and other dissemination efforts that are related to our Center’s research, development and training activities. Also, please include an approved Center logo. This <project/study (choose one)> was partially supported by the NIH/NIA funded Michigan Alzheimer’s Disease Center (5P30AG053760). For approved logos to use in posters and presentations, please contact Renee Gadwa at rgadwa@med.umich.edu. "Characterization of faster onset of Alzheimer’s disease within mild cognitive impairment patients by brain functional connectivity and genetic variants"
Goal: To uncover multi-model brain functional connectivity/gene markers of shorter conversion time from MCI to AD by constructing advanced Bayesian low rank models. Dr. Eunjee Lee is a Research Assistant Professor of Biostatistics at the University of Michigan. 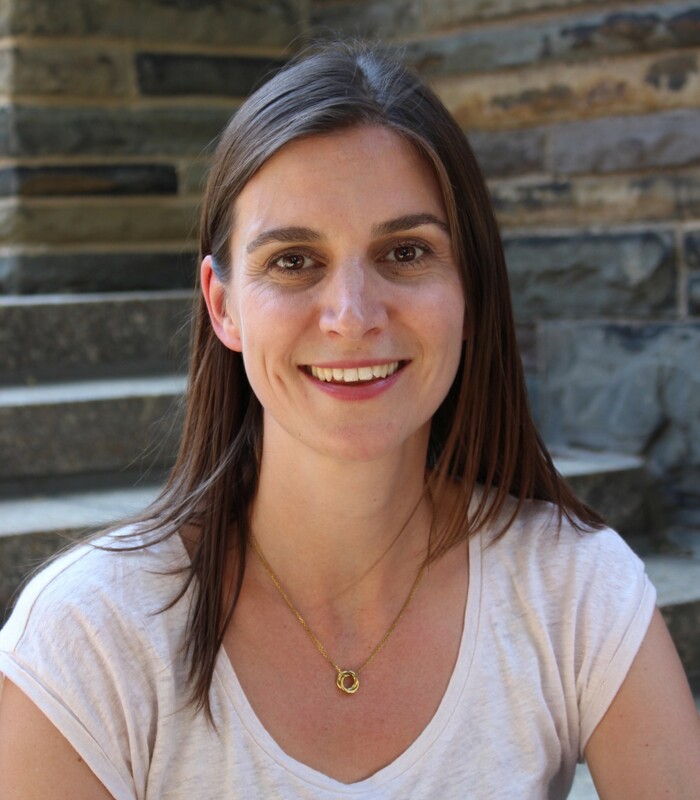 Her research interests lie in developing statistical methods to explore biomedical data, such as brain imaging and genetic data. 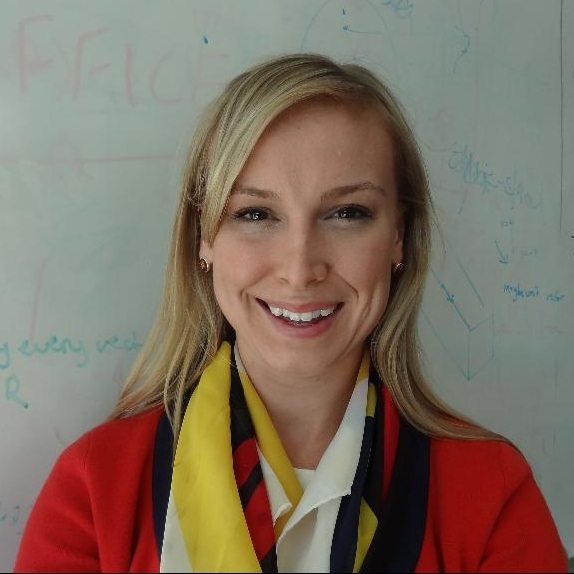 Her current work is focused on Bayesian methods for functional data analysis, matrix decomposition, and variable selection in high-dimensional settings. Dr. Chandra Sripada is an Associate Professor of Psychiatry and an Associate Professor of Philosophy at the University of Michigan. His research examines agency, attention, and self-control from cross-disciplinary perspectives. "Cortical Microstructural Changes in African-Americans with Alzheimer’s Disease"
Goal: To examine the cortical microstructure as reflected by two novel MRI techniques, Neurite Orientation Dispersion and Density Imaging (NODDI) and Diffusion Kurtosis Imaging (DKI) in a cohort of African American and White patients with early Alzheimer’s disease. 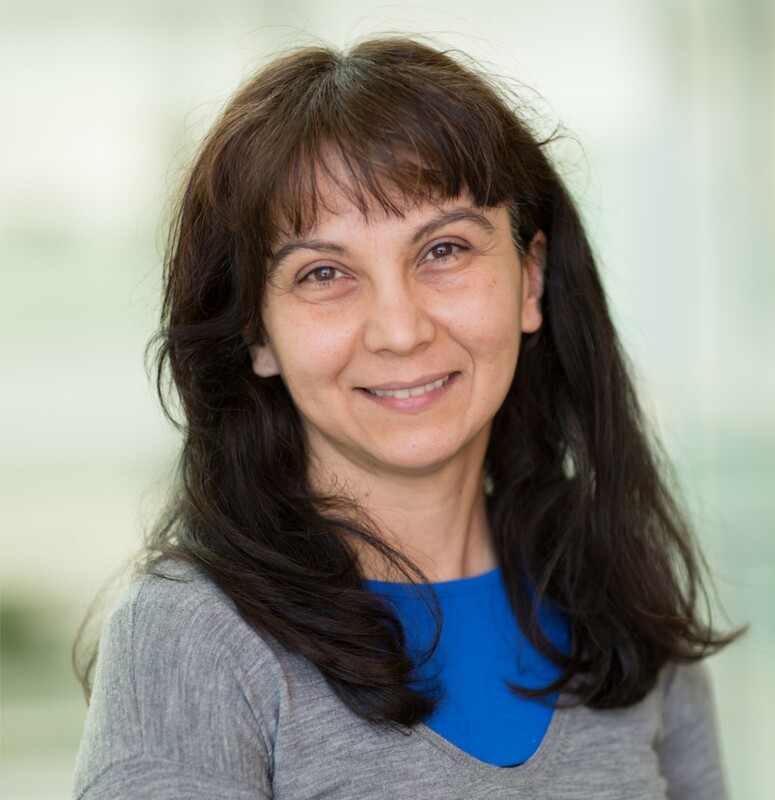 Dr. Seraji-Bozorgzad is an Assistant Professor of Neurology at the University of Michigan. The interaction of body and brain in disease state are of particular interest to him, both in terms of neurological manifestations of systemic disease, and effect of neurological disease on other systems. His research experience is in the field of MR imaging. He is interested in biomarkers of brain injury and repair, as it applies to various degenerative disorders, including Alzheimer’s disease. Dr. Rohit Marawar is an Assistant Professor of Neurology at Wayne State University. Dr. Marawar’s expertise and training is in the field of epilepsy. Recently, he transitioned his focus into hyperexcitable brain networks in cognitively normal and abnormal elderly – including those with Alzheimer’s disease and related dementias. Dr. Marawar contributed to the development of the Geriatric Epilepsy Clinic at Wayne State University-Detroit Medical Center. Goal: To leverage emerging technologies to identify novel repeat associated RNA-binding proteins (RBPs) and then evaluate their roles in two common genetic forms of dementia: C9orf72-associated frontotemporal dementia (C9FTD) and fragile X-associated tremor/ataxia syndrome (FXTAS). 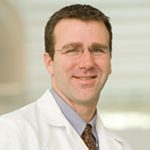 Dr. Peter Todd is the Bucky and Patti Harris Career Development Professor of Neurology and an Associate Professor of Neurology at the University of Michigan. 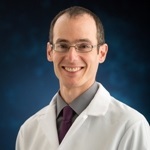 His research explores the molecular mechanisms in neurodegenerative diseases with a particular interest in repeat expansion diseases such as the recently discovered C9ORF72 expansion underlying frontotemporal dementia. Dr. Todd is also a staff neurologist at the Ann Arbor VA Medical Center. 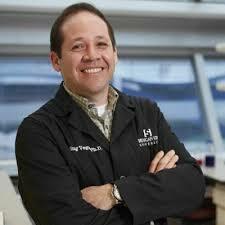 He has worked in the field of Fragile X research for almost 20 years. Goal: To test the overarching hypothesis that racially-patterned social stress (discrimination) partially explains disparities in cognitive health through its effects on inflammation. In addition, this study will test whether associations among race, social stress, inflammation, and cognition differ according to socioeconomic status and quantify effects of examiner-examinee racial discordance on cognitive performance. Dr. Laura Zahodne is a clinical neuropsychologist and an Assistant Professor of Psychology at the University of Michigan. 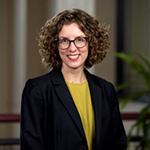 Her research interests include psychosocial factors in aging and neurodegenerative disease, psychosocial factors and racial/ethnic diversity in cognitive aging, and statistical modeling of symptom trajectories in aging and neurodegenerative disease. "Hippocampal Connectivity Along The Spectrum of Pre-clinical Alzheimer’s Disease"
Goal: To determine the difference in hippocampal functional and structural connectivity among older adults along the putative preclinical spectrum from healthy to subjective cognitive impairment (SCI) and mild cognitive impairment (MCI), and its association with objective cognitive performance. "Determine The Role of the Novel EFhd2 Protein on Tau Oligomerization"
Goal: To understand the role of EFhd2 as a putative modulator of tau oligomerization, in a collaborative effort between researchers at Michigan State University and University of Michigan. "Leveraging Longitudinal Electronic Health Records for the Characterization of the Progression of Alzheimer's Disease"
Goal: The development of methods for leveraging University of Michigan Health System and VA Health Administration Electronic Health Record data for novel retrospective analyses of patient trajectories prior to and following a diagnosis with MCI and AD. "Defining RNA-based Mechanisms of Neurodegeneration in FTLD-TDP"
Goal: To determine the importance of TDP43’s RNA binding domains to neurotoxicity, and to define the TDP43 targets that most closely associate with neurodegeneration in frontotemporal dementia models. Outcome: Data from this study was incorporated into an R01 grant application with Dr. Levine as PI which was funded. They are still in the data collection and analysis phase. There are no publications at this time. Outcome: They did not identify any novel repeat expansions as a cause of ALS or other disorders. Publications: He F, Jones JM, Figueroa-Romero C, Zhang D, Feldman EL, Goutman SA, Meisler MH, Callaghan BC, Todd PK. Screening for novel hexanucleotide repeat expansions at ALS- and FTD-associated loci. Neurology Genetics. Volume 2, Issue 3, May 11th 2016, Page 71. Goal: To test the primary hypothesis that scalp cooling facilitates the glymphatic system and enhances clearance of soluble A-beta. Outcome: Project is currently ongoing. Dr. Kotagal acquired a mentored VA grant this year. Publications: There are no publications at this time. Goal: To examine whether tDCS can reduce the severity of SMCs and improve memory test performance in older adults with such complaints.